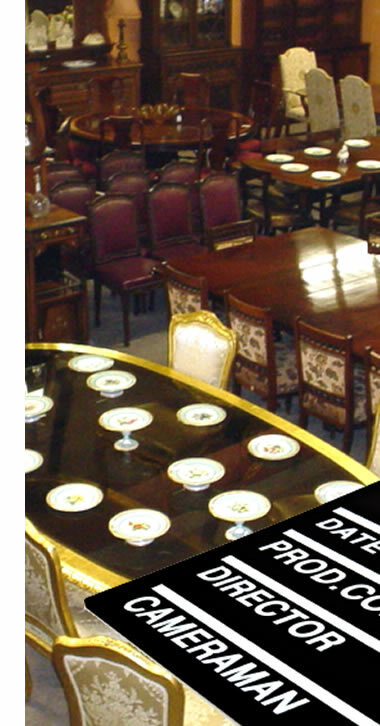 Antique & furniture prop hire service in Belfast... Our wide selection of antiques and fine furniture are available for hire to the theatre, television productions and film industry. We have provided various props in the past for movies, stage productions, television productions, corporate events, parties and weddings. Our vast shop in Ballinderry Antiques in Lisburn and Oakland Antiques in Belfast have a vast array of fine furniture and antiques that could be provided on a hire basis for your latest TV, film, theatre production, no need to look elsewhere, the search is over! We only have a small selection of our stock on this website, if there is something in particular that you are look for to use as a prop then give us a call on the number below or use our enquiry form.